05/03/19 – added the event schedule. 13/03/19 – updated the obstacle section of the tournament manual. 21/03/19 – rules clarified to promote fair play and tournament quality, polar bear changed to seal. 28/03/19 – added another prize. 30/03/19 – this tournament has concluded. Your team is a part of the newest expedition to the North Pole to research the effects of global warming on Arctic Foxes. 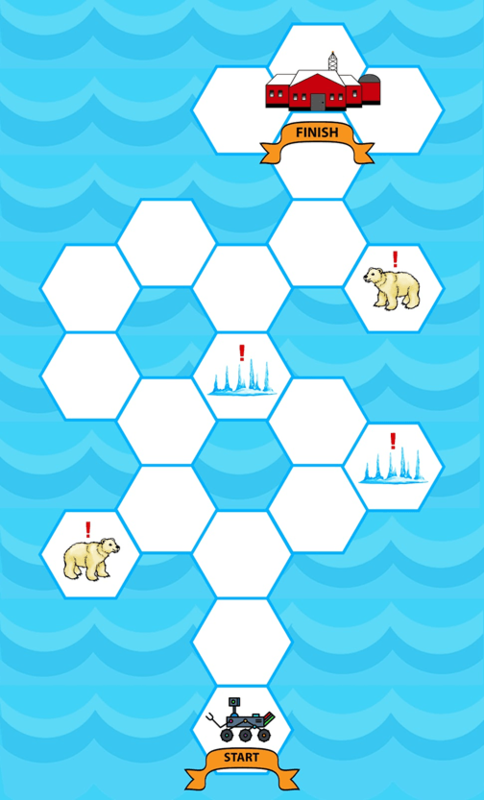 Unfortunately, your robot rover has gotten stuck on an iceberg, and it is your team’s job to make sure it gets back to the Arctic Research Station safely! Make sure to keep your rover on the ice floes while hiding from seals and avoiding icicles! First place wins $100.00 ($20 gift card per person). Second place wins $50.00 ($10 gift card per person). For every team: Gamewright Rory’s Story Cubes. 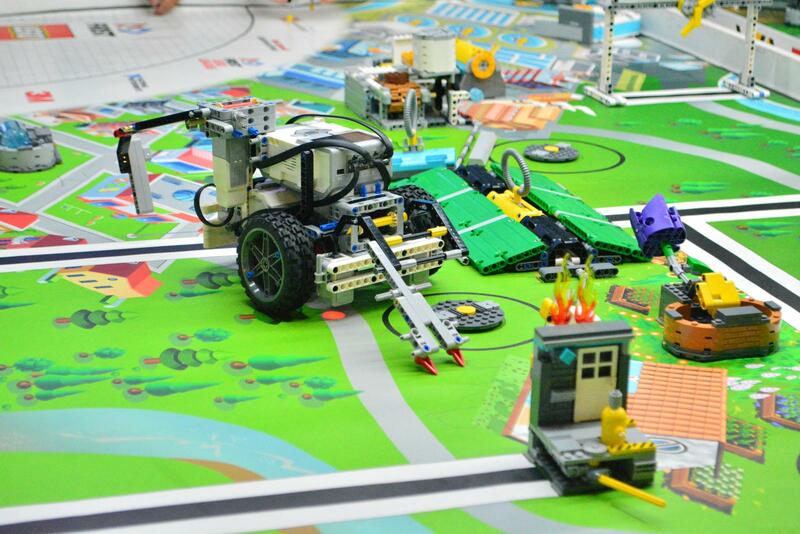 Teams must build a robot rover and safely get it from one side of the course to the other. 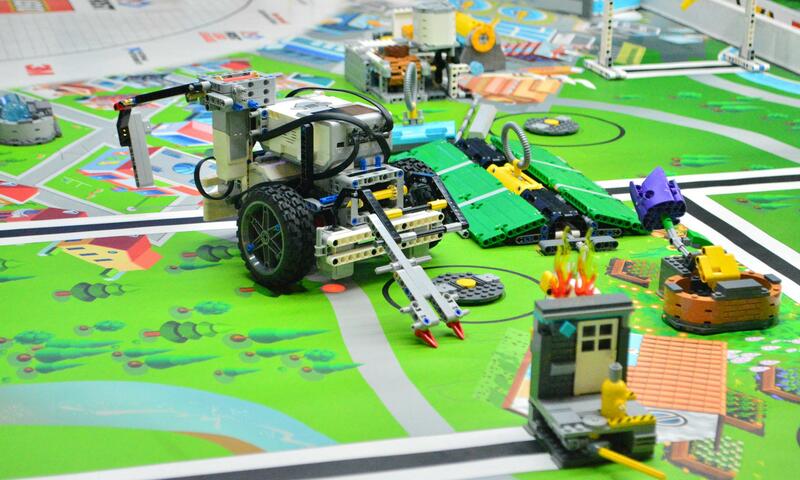 Students may use LEGO EV3, Arduino, or Raspberry Pi to program their robot. Before the challenge, the team will have a minute to present their robot and explain their design choices and programming logic. The presentation is worth 10 points. For the challenge, teams start with 30 points and have 5 minutes to navigate the course. 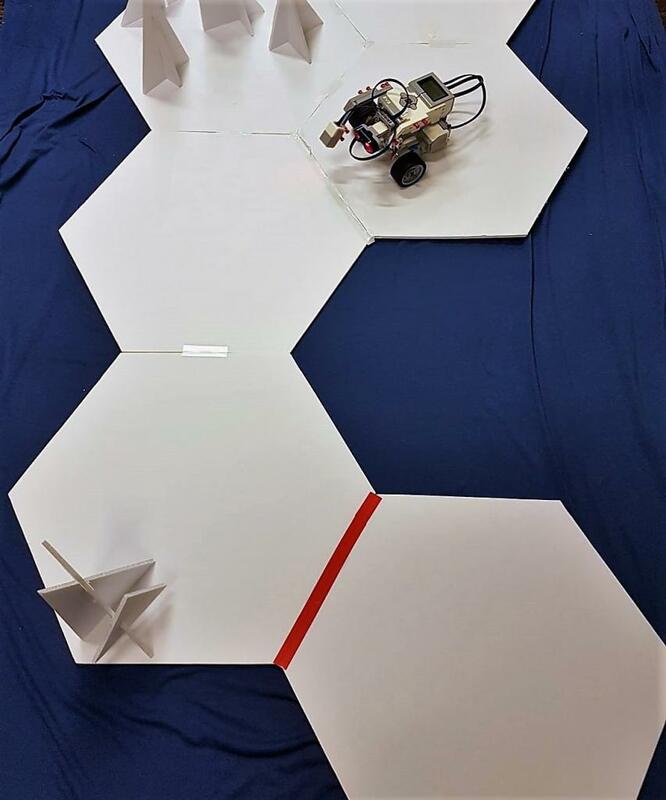 During the challenge, the various actions the robot makes will add or deduct points from the team. See the Scoring System section below. The team with the highest score after summing the presentation and challenge wins. If no team can reach the Arctic Research Station, the team that got the closest to the research station will win. For full challenge details, please see the tournament manual.